It’s sad to think that 85% of American families never sit around their dining room table to eat a meal together. The discussions you have with your loved ones when the sole focus is the meal you are about to eat are very different to the discussions you have in front of the TV. 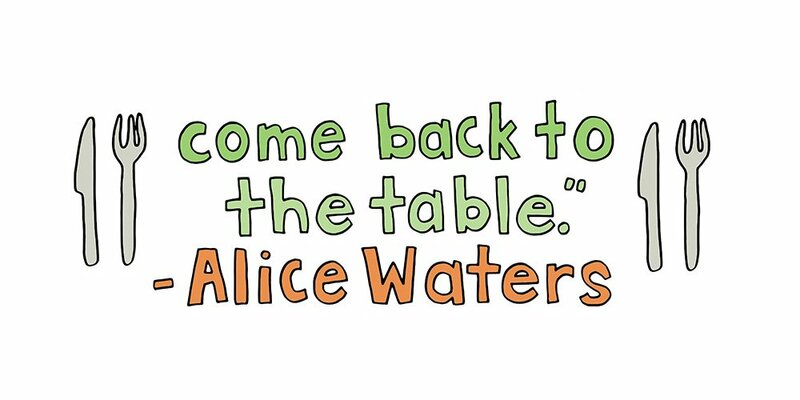 Try to come back to the table at least a few times a week and if you can once a day. It will make a difference to your family dynamic and you might find out some interesting things about your family members. COME BACK TO THE TABLE! 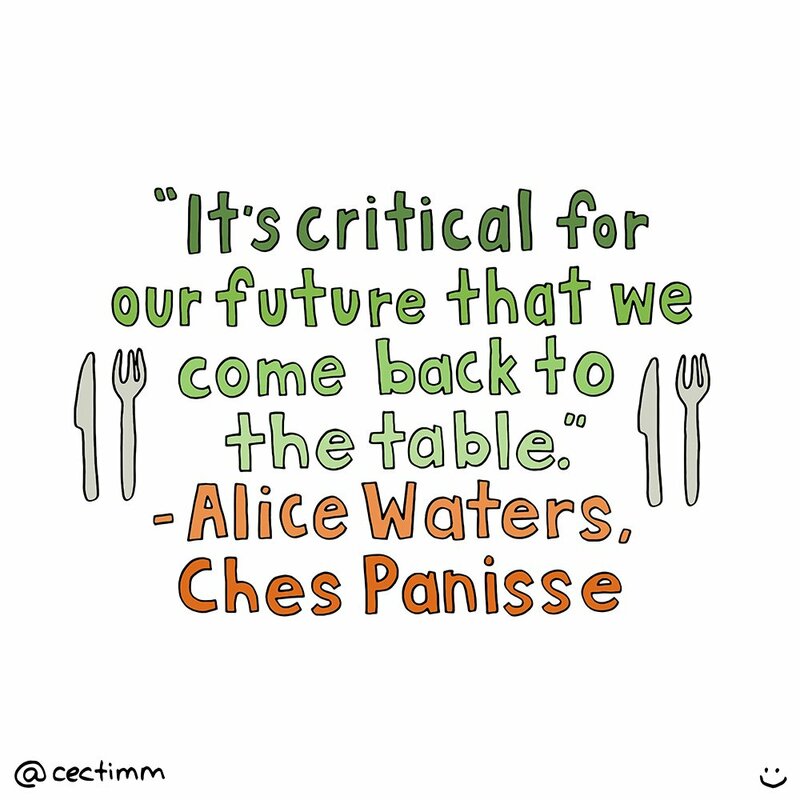 I recently happened across a great story on CNN about a world renown chef Alice Waters who opened the now famous Californian restaurant Chez Panisse 45 years ago. She is credited with starting the modern farm-to-table movement and works closely with local food and wine producers.